The beautifully illustrated book is easy to follow and covers simple organising methods for every room of your home with numerous helpful hints from re-organising your cupboards to quick cooking tips. Each room will be sorted in six steps or less! Home Sorted! 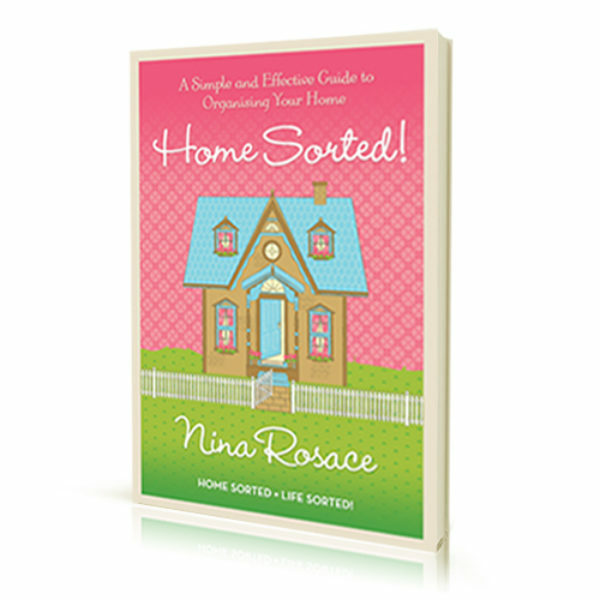 contains simple, effective tips to organising your home and therefore your life. You can easily live clutter free and make way for a life filled with time and space for the things we enjoy in life. This book has been filled with numerous simple, yet effective tips to help you to organise your home room by room. Home Sorted = Life Sorted!